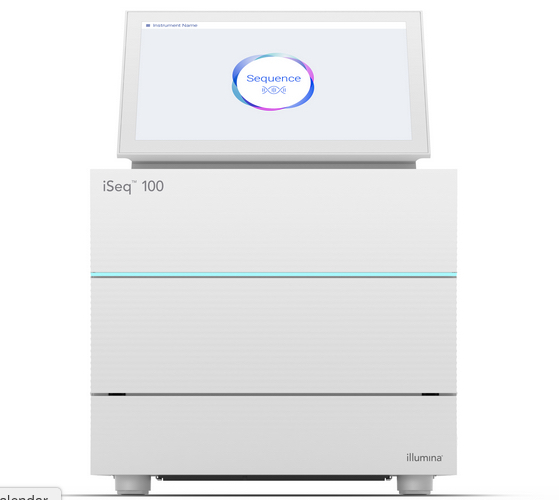 As is its custom, San Diego-based next-gen sequencing (NGS) giant Illumina made a splash at the JP Morgan Healthcare Conference in San Francisco with its new, pint-sized, benchtop instrument, the iSeq 100 introduced by company CEO Francis deSouza, the successor to Jay Flatley who now serves as executive chairman. Illumina received backing from Harvard/Broad Institute researcher Pardis Sabeti, an expert in the genetics of infectious diseases. Sabeti said the introduction of the iSeq 100 had the potential to transform infectious disease surveillance, and she looked forward to her team using the instrument in the field (although the company says the machine is “for indoor use” only). “We believe the accuracy of the iSeq 100, coupled with the low cost and small footprint, will allow us to introduce NGS capability where it is needed most,” she said. The iSeq 100 is the first Illumina instrument to use complementary metal-oxide-semiconductor (CMOS) detection technology, representing a different configuration for the company to deliver accurate data at lower cost. CMOS chips have previously featured in Thermo Fisher Scientific’s Ion Torrent systems. In other surprising news, Illumina announced a partnership with longtime rival Thermo Fisher Scientific on AmpliSeq. For much of the past decade, Illumina was locked in a fierce battle with Thermo subsidiaries Applied Biosystems and Life Technologies for dominance in the NGS space. Thermo produced at least two platforms—the SOLiD sequencing system from Applied Biosystems and subsequently, the Ion Torrent platform, acquired from Life Technologies—that competed strongly with Illumina’s sequencing-by-synthesis chemistry and platform. The news drew some gasps on social media. “Illumina and Thermo partnership on AmpliSeq is huge news. Who would have imagined that 5 years ago?” commented University of Birmingham (UK) microbiologist Nick Loman on Twitter. A version of this story originally appeared on Genetic Engineering & Biotechnology News.